According to historian M. Stanton Evans’ “Law of Inadequate Paranoia,” in effect, things are always worse than you think. This holds true especially of conventional history books on World War II and the Cold War, Evans said last Wednesday, upon introducing Diana West, recipient of the 2013 Center for Security Policy Mightier Pen Award for her remarkably courageous work American Betrayal: The Secret Assault on our Nation’s Character. One gets a hint of major historical oversights, passed off as fact for decades, the moment one opens West’s American Betrayal. At the dawn of the modern age, in 1920, she notes, Bertrand Russell already warned of a “conspiracy of concealment” well underway, by Western visitors to the new Soviet Union anxious to project a civilized veneer onto what Ronald Reagan six decades later so much more aptly termed the evil empire. 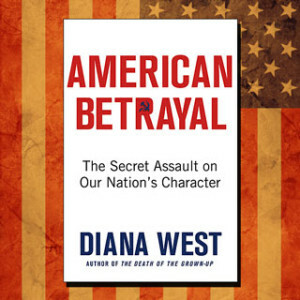 West attempted in American Betrayal to unravel a series of Big Lies, she told the rapt audience. She started in our own age, after 9/11, with the Big Lie that “Islam is a religion of peace” and worked backwards from there, to the 1940s, when Americans were sold several bills of goods on the Soviet empire. “Uncle Joe Stalin is a friend of democracy” and “the USSR has freedom of religion,” for starters. But the lies began much earlier. 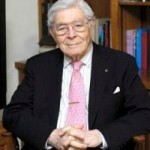 West found herself in agreement with Robert Conquest’s identification of the first “Big Lie” as the early 1930s press deception that passed off the Ukraine Terror Famine, an intentional genocide against some six million Ukrainian peasant souls, as something much less deadly, much more benign than it was, something almost natural and of little consequence. Some 80 years ago this month, on the heels of that intended mass murder by starvation, West notes, Franklin Delano Roosevelt recognized the Soviet Union. Bad as that was, worse occurred when, as the great Soviet dissident Vladimir Bukovsky laments, the West failed to prosecute after the Soviet empire fell in 1991. That we did not is why Bukovsky insists that, actually, the West lost the Cold War. Documents that Bukovsky recovered from the Soviet archives, he contends, largely explained Western inaction by virtue of the deep, extensive ideological collaboration they exposed between Western left-wing parties and the Soviets. Indeed, the same collaboration undoubtedly explained why the Soviets did not also go on trial at Nuremberg since, after all, Stalin fully collaborated in the September 1, 1939 Nazi invasion of Poland. But there was, West notes, “no reckoning,” neither in 1945 nor in 1989. No one assumed responsibility for the lies, and no one assigned responsibility for them either. Instead, the lies only continued. Communist regimes, of course including the U.S.S.R., murdered roughly 100 million souls, as documented in The Black Book of Communism by Stéphane Courtois and Mark Kramer. But 24 years ago, weeks after the Berlin Wall fell and George H.W. 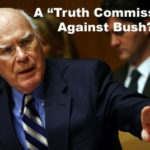 Bush met with Mikhail Gorbachev in Malta, we continued to eschew any talk of bringing communism to justice as we had done Nazism in the late 1940s. Upon reading her manuscript, Evans warned West that she would be attacked, as indeed she has been. The attacks, he noted, have been far worse than he had imagined. But West counters with what Evans called a “triple threat,” namely her intelligence, principle and fearlessness. Today, that manipulation manifests itself via narratives, West observes. Facts—on Islam or Communism or infiltration of either—carry no greater weight than narrative, even (and especially) false narrative. Whatever narrative proves loudest wins, regardless how demonstrably false its points. That may explain Obama’s latest coup, a “deal” ostensibly intended to halt Iranian nuclear weapons development that in fact appears likely to promote Iran’s goal of launching a nuclear electromagnetic-pulse attack to flatten the entire U.S. electrical grid, and its whole infrastructure as well. Iran has openly voiced these aims, and hidden behind by a spineless, morally relativist western press corps. West’s book initiates what our mutual colleague Christine Brim calls “an insurgency of facts,” a small encyclopedic against Communist infiltration in the 1920s, 1930s, 1940s and 1950s that at least begins to explain how we got into the mess we find ourselves today. The attacks on West give us all the more reason to learn everything between her book’s covers, not least to prevent the same historical tragedies from occurring again.